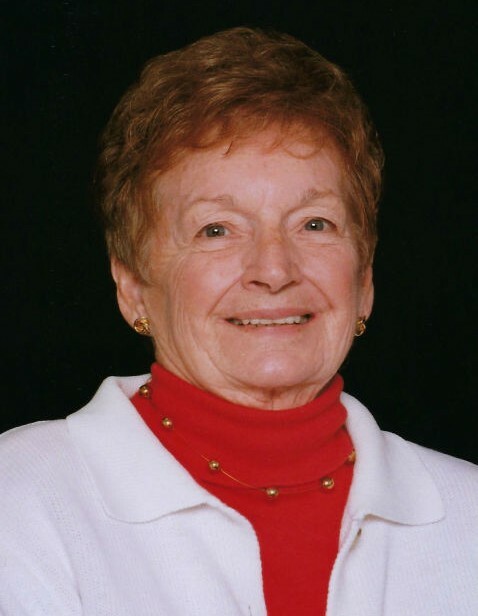 Gladys M. Pearson, age 89, of Escanaba, passed away Thursday afternoon, March 21, 2019 at Bishop Noa Home in Escanaba. She was born on April 25, 1929 in Escanaba, the daughter of Reuben and Minnie (Soyka) Jefferson. Gladys was raised in Escanaba and was a 1947 graduate of Escanaba High School. Following graduation, she was employed by the National Biscuit Company in Escanaba. The former Gladys Jefferson married Robert “Swede” W. Pearson on November 28, 1953 in Stephenson, MI and he preceded her in death on June 27, 2012. Together, the couple shared 58 years of marriage. Gladys found great joy in being a homemaker, caring for her husband and three daughters. Following Swede’s retirement, they enjoyed traveling during the winter months. Gladys was a former member of the Escanaba Country Club. She enjoyed golfing, working on crossword puzzles, was an avid bridge player and reader. Gladys loved a sweet treat of ice cream. She will be deeply missed by her family, friends, and all who knew her. Gladys M. Pearson is survived by daughters, Mary (Jerry) Brasser of Kohler, WI, Barbara (John) Zeni of Gurnee, IL, and Susan (Jim) McNeil of Escanaba; 5 grandchildren, John, Jennifer, Katie, Maria, and Jimmy; 6 great-grandchildren, Maddison, Morgan, Alex, Benjamin, William “Willey”, and Margie; sister, Geraldine Krause of Round Lake; and several nieces and nephews. In addition to her parents and husband, Gladys was preceded in death by her brother, Neil Jefferson. Visitation and funeral services are being planned for the spring of the year at the Anderson Funeral Home in Escanaba. Burial will take place in Lakeview Cemetery.